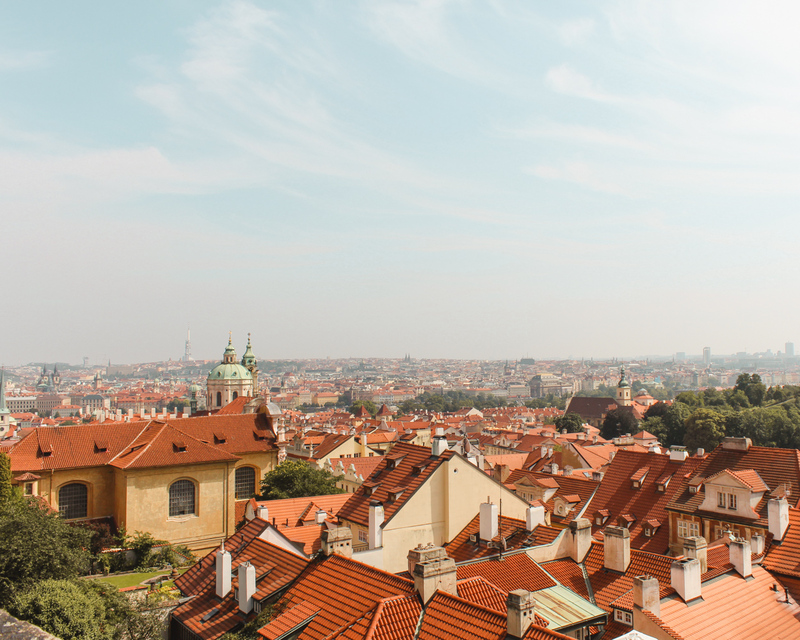 Prague is such an underrated city full of history, amazing food and beautiful architecture. There really is so much to see and do in this capital city, but luckily everything is relatively close together. You can really manage to see a lot in just two days if have some decent walking shoes and a game plan. 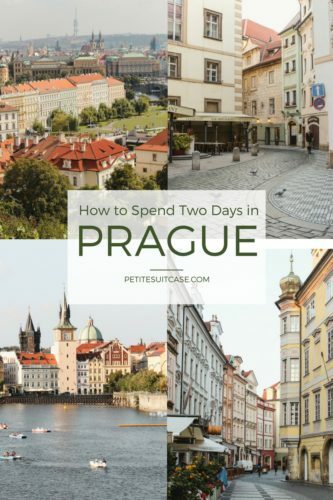 Here is how to spend two days in Prague and some of the sights (and food!) you can’t miss along the way. Two of the three times I’ve been to Prague, I’ve stayed at this Airbnb. 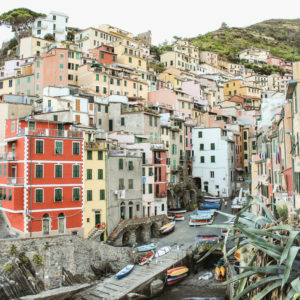 The location is simply perfect and you can walk to everything. The bedroom window faces out to a lively street with a view of the clock tower next to Charles Bridge. The ceiling even has charming fresco paintings. If you prefer hotels, I’ve also stayed at Hotel Antik when we went for the Christmas market. 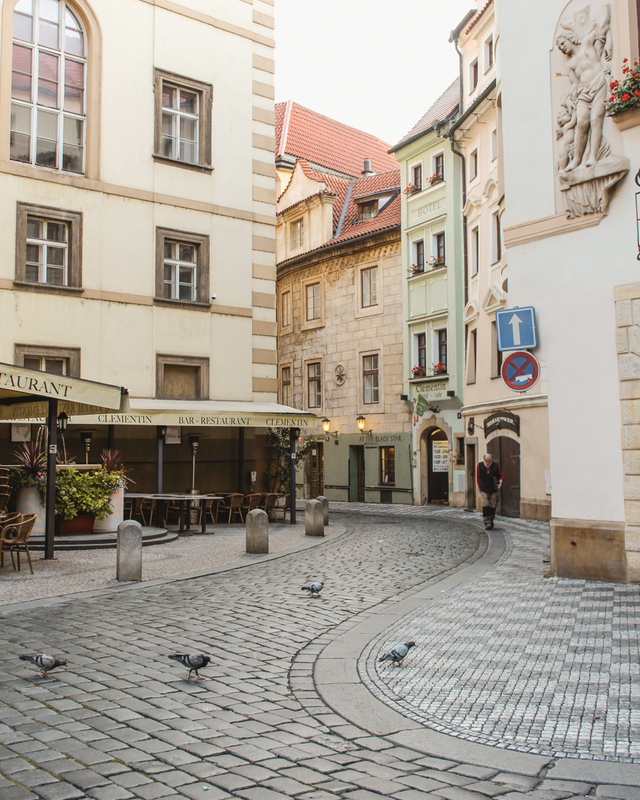 There’s a nice breakfast room and it’s located in the Jewish Quarter, a very short walk from the main square. 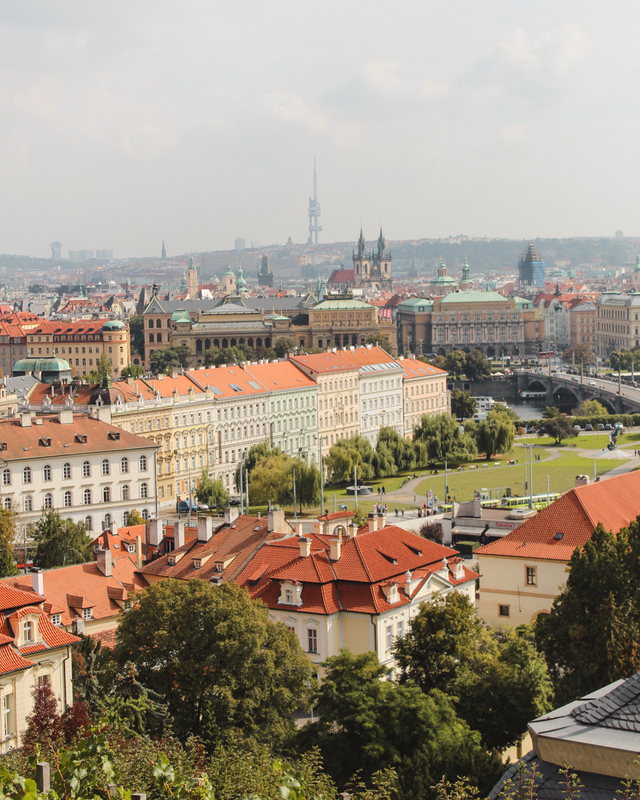 Take an early flight and land in Prague just in time for breakfast. After dropping your bags, head straight to VENUE. I never used to make reservations that often before I moved to Europe, but I almost always make one now. I’d recommend making one here because the breakfast is just that good. VENUE makes quality, homemade food with fresh juices and craft cocktails. 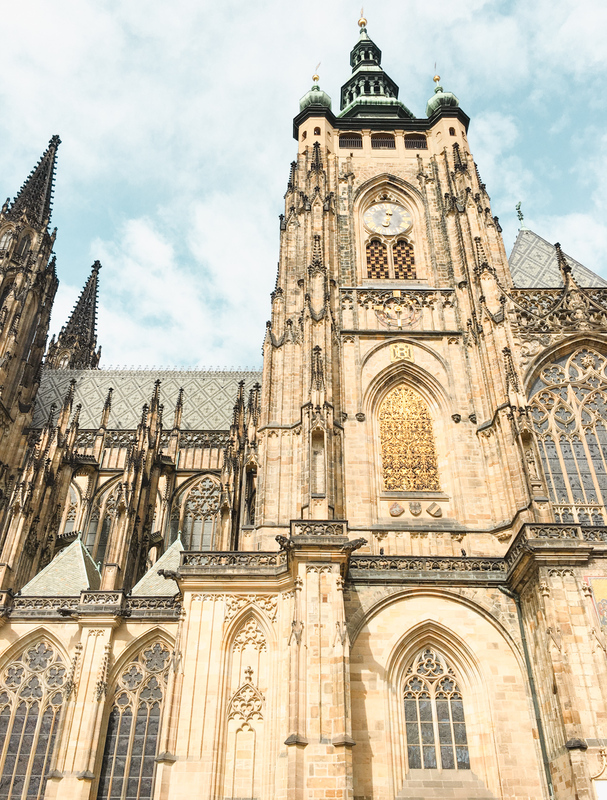 After breakfast, cross over the Charles Bridge and wander up to Prague Castle and St. Vitus Cathedral. The walk up to the castle area also offers stunning views of the city. 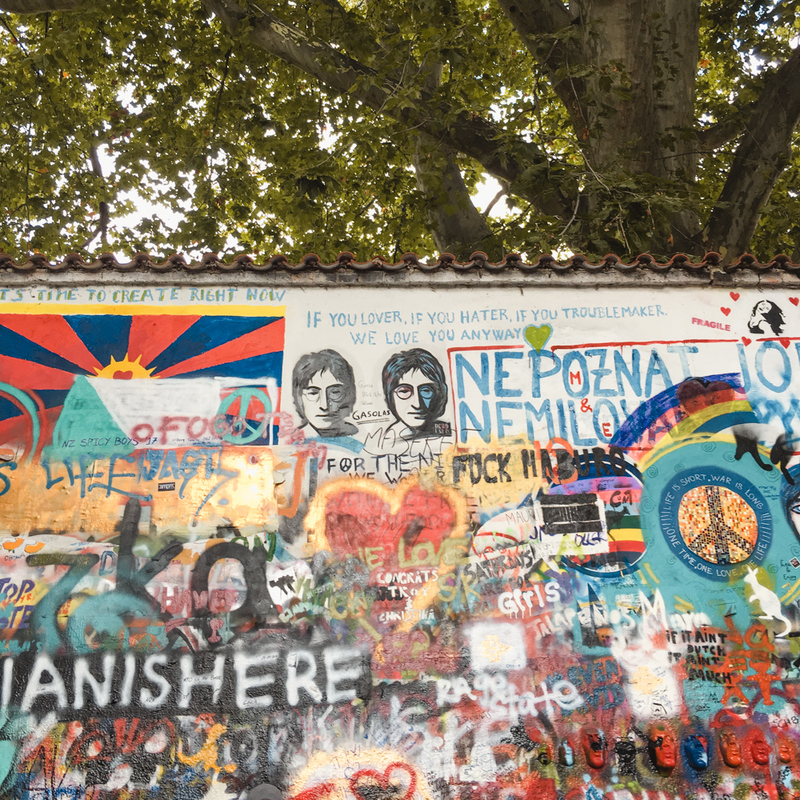 On the way back down to the river, be sure to walk by the John Lennon wall and see the crawling babies statues outside the Museum Kampa. For a snack, grab something to eat at one of the outdoor stalls. This would be the perfect time to try one of Prague’s specialities, the chimney cake or trdelník. 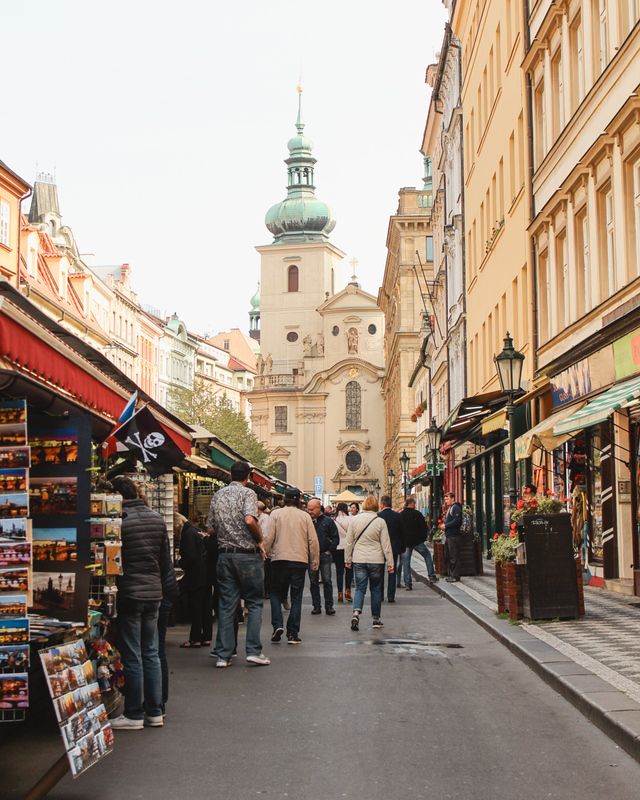 I love food stalls and checking out the shops in Wenceslas Square. These stalls are set up almost year round and decorated with the season. The Christmas market in Prague is especially festive (could possibly be all the mulled wine talking). 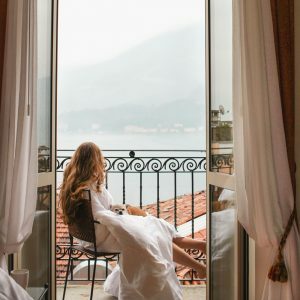 I’ve always been a fan of a good aperitivo or happy hour. Have a drink somewhere near the river or the Old Town Square and people watch. 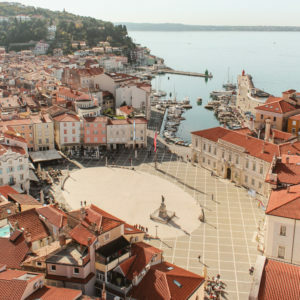 I like to get a drink in the more touristy areas near a great look out point or in a main square, but I rarely eat there. The food usually gets better the further you get from a tourist attraction. 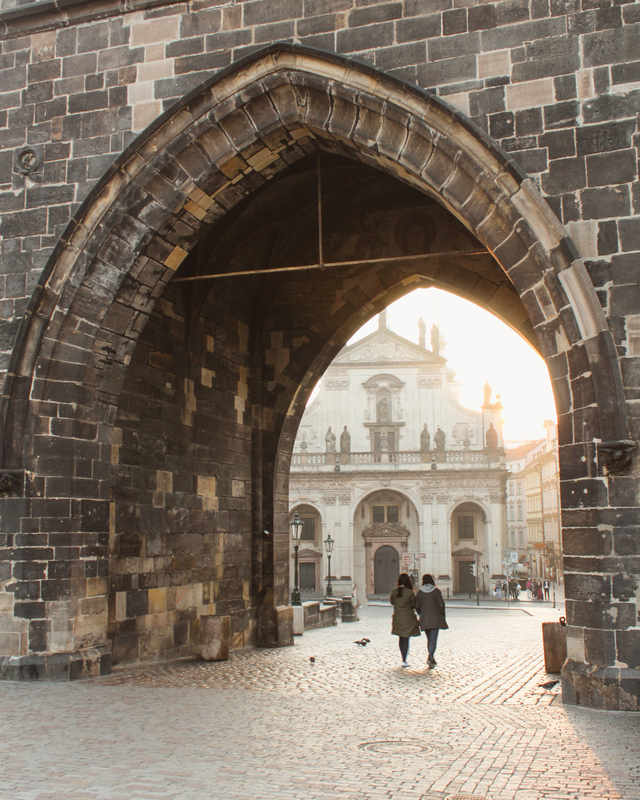 If you’re after traditional Czech food for dinner, get your fill of goulash and dumplings at Lokál. 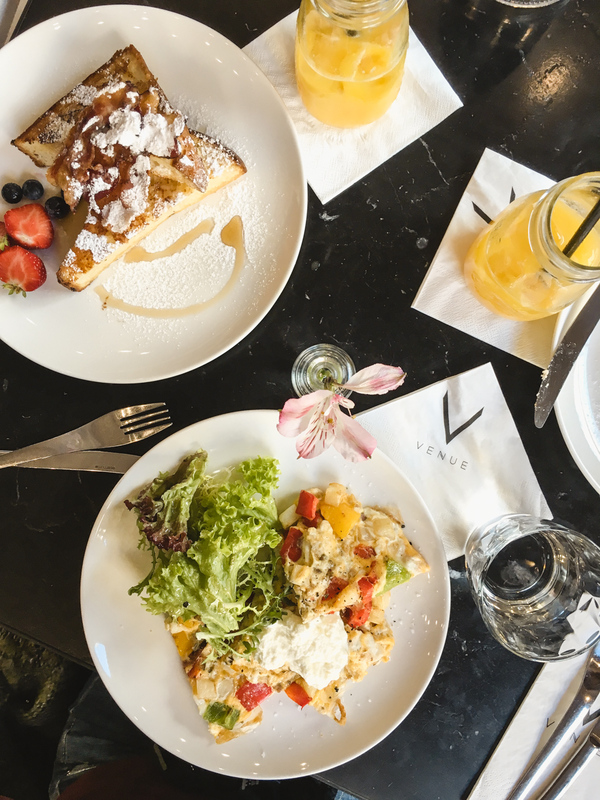 Start the day with a quick breakfast at Bakeshop. If you’re in the mood for a more formal sit down breakfast, Café Savoy across the river makes an excellent chocolate café au lait. Head over to the main Old Town Square and the Astrological clock (like Big Ben it’s also having a bit of a face life at the moment). They still had the clock portion lowered so you can get a close up view while the rest of the tower is being renovated. 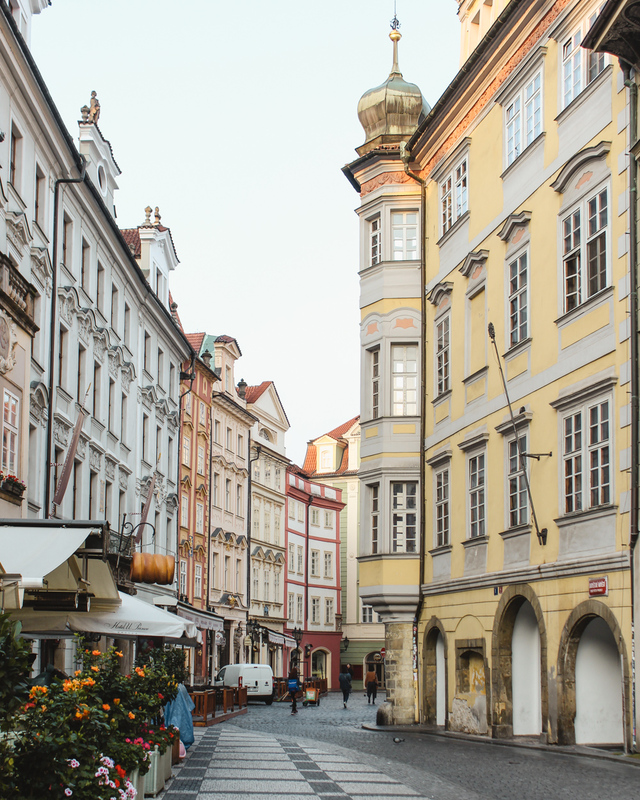 Prague is also famous for its Jewish Quarter. Go to Josefov to see the one of the oldest Jewish Cemeteries in Europe. Stop in Café Café for a snack or a sweet afternoon pick me up. If the weather is nice enough be sure to go out on the paddle boats. 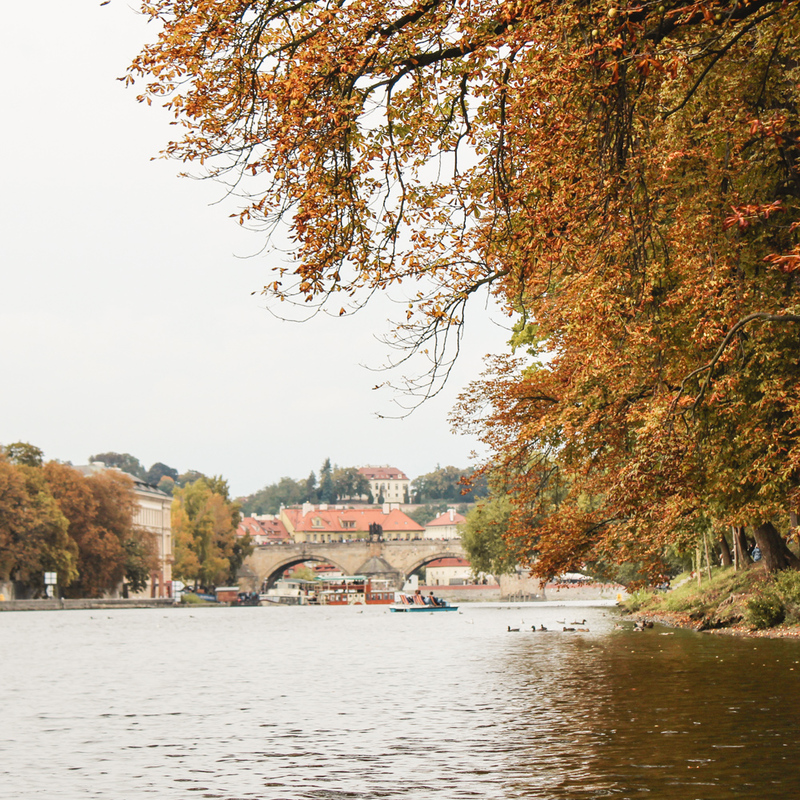 Seriously, paddle boating is one of my favorite things to do in Prague! Being a California girl living in Italy, I am always on the hunt for Mexican food. Not only was dinner just what I had been craving at Agave , they also make a decent margarita! 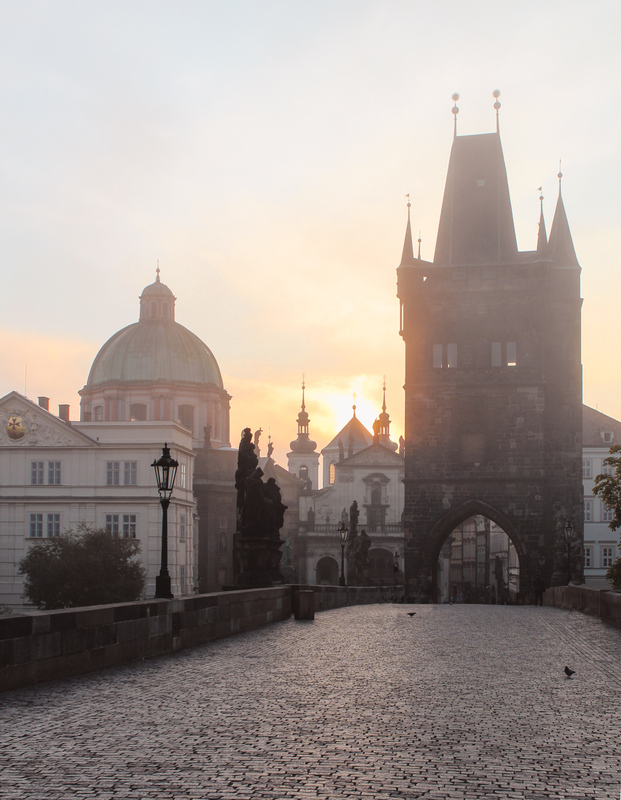 I left the next morning on one of those awful early morning flights, but at least you get to see the sun come up over Charles Bridge. Two days in Prague goes by quick. Thank you so much! 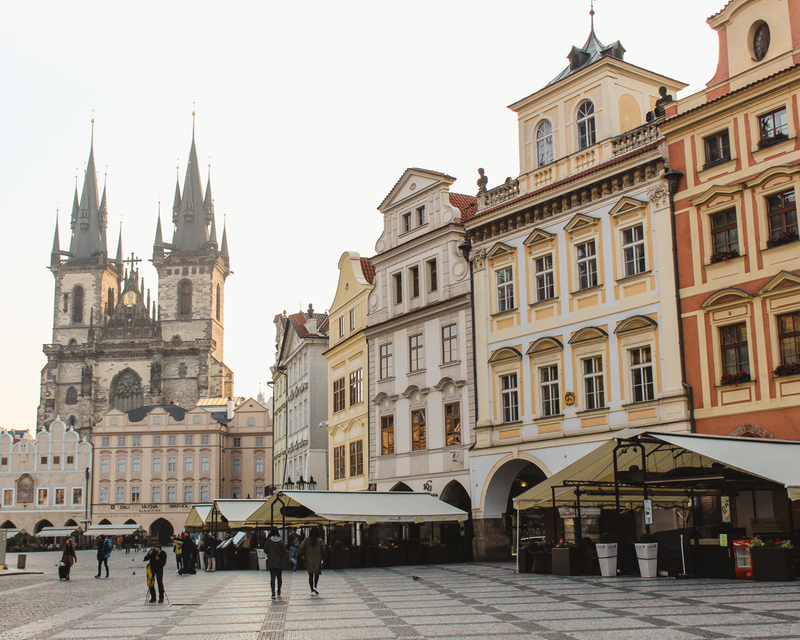 Prague would be beautiful in the winter. We’ve also been in December and it wasn’t too cold yet. 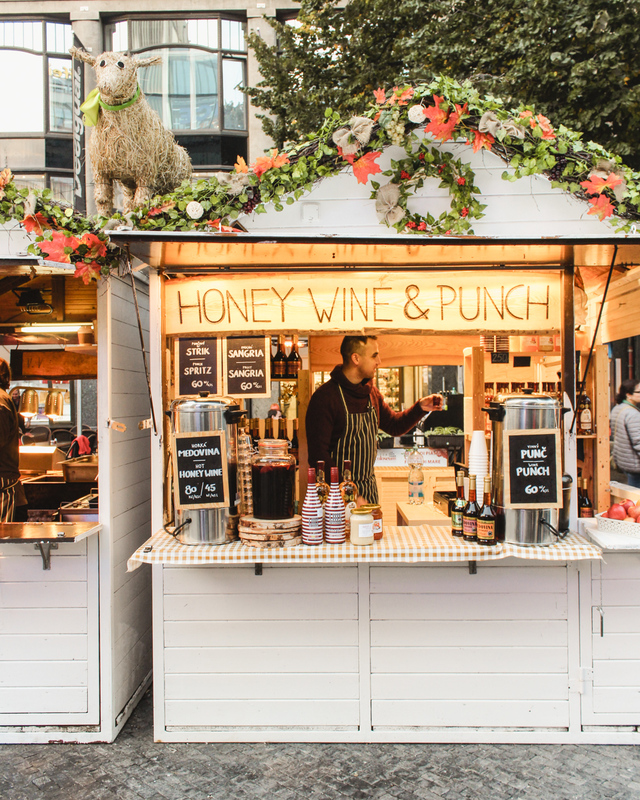 The Christmas markets are so special if you are going to be around then. Enjoy! 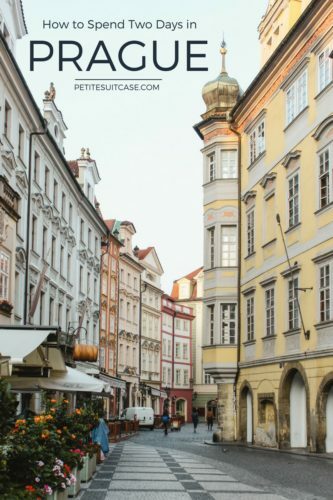 Prague was one of my favorite trips I took while I was (coincidentally) living in England during grad school! 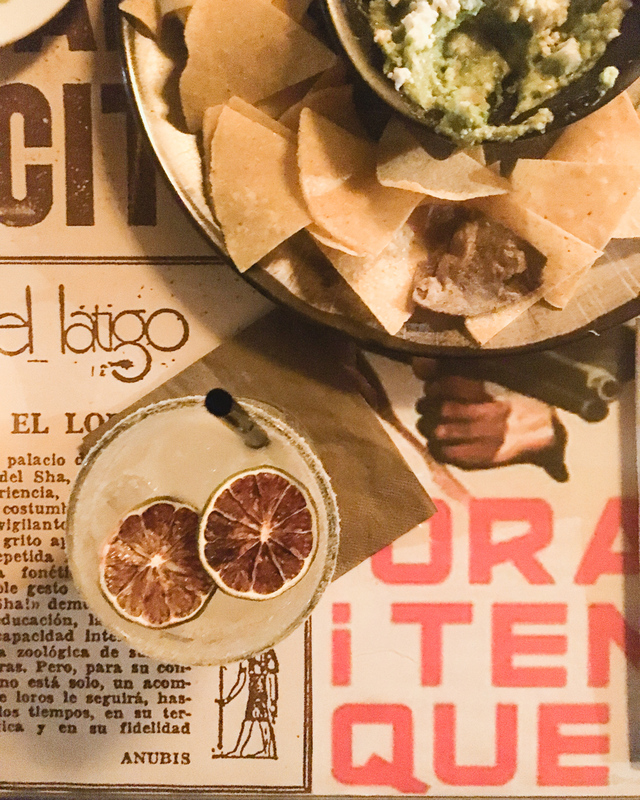 If you ever get back there, check out Las Adelitas for amazing Mexican food too! I stumbled upon that place on the suggestion of a tour guide and I may have went back three times hah! 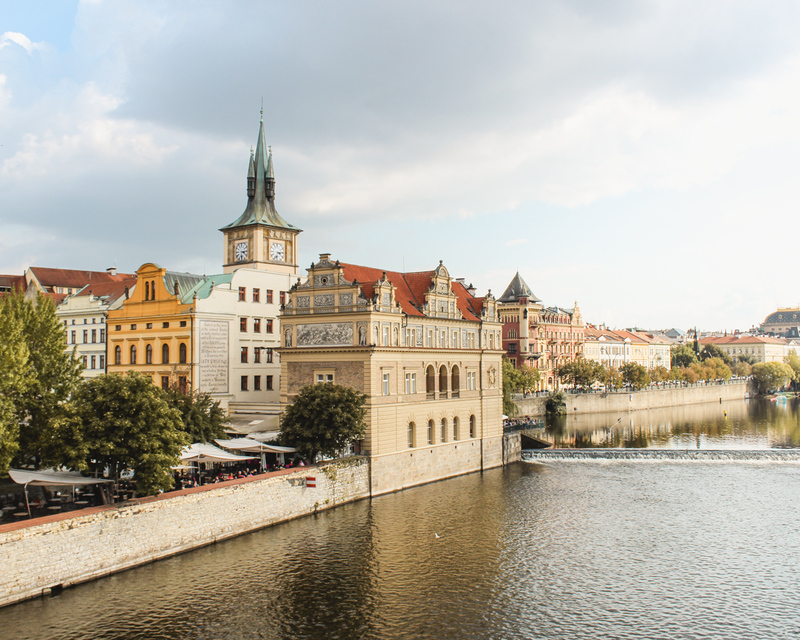 Also if you have more time, visit nearby Czesky Krumlov! Will do! Thanks for the recommendation! I would love to visit Czesky Krumlov the next time we visit. I’ve heard it is absolutely beautiful!